The family of a bike ­courier who killed himself over traffic fine debts have called on the Government to ban councils from using bailiffs. Jerome Rogers’ mum Tracey, 51, also wants local authorities to let residents set up payment plans for unpaid fines to stop debts spiralling out of control. Jerome, 20, hanged himself on the day a bailiff clamped his motorbike – vital for his job – over two £65 fines which had snowballed to over £1,000. This week, devastated Tracey, 51, and her son Nat, 28, went to Parliament to plead with politicians for a curb on bailiffs. Council chiefs in London’s Hammersmith and Fulham have already ditched debt ­collection firms and Tracey’s Labour MP Sarah Jones is calling on other authorities to do the same. The MP took Tracey and Nat to meet Tory justice ­minister Lucy Frazer at the House of Commons. Enforcement fees charged by debt collection companies mean hundreds of pounds can be added to already unmanageable debts, plunging people like Jerome ­further into turmoil. His heartbroken family, from Croydon, South London, also wants the Government to set up an independent body to regulate bailiffs. Under current rules bailiffs cannot remove a vehicle from someone if it is essential to their work, provided it is worth less than £1,350. Bailiff firm Newlyn claimed Jerome’s motorbike would sell for at least £1,500 but the family had it valued -independently at £400. 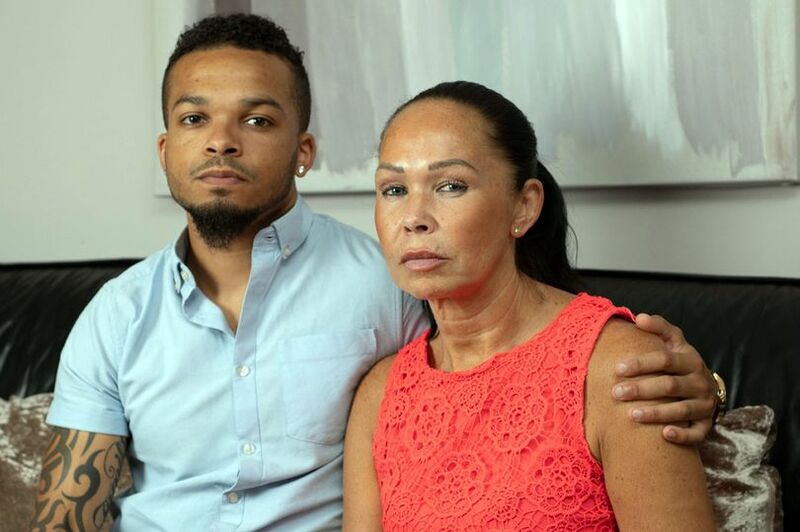 Tracey, a housekeeper, said: “Jerome was a sensitive boy and we had no idea of how bad the situation had become but he couldn’t see a way out. There is no way his bike was worth what the debt collectors said it was. Jerome was working as a self-employed courier, transporting blood and medical supplies to hospitals. He had to pay for fuel and insurance and was sometimes left with as little as £18 a week to live on. Tracey, also mum to Hollie, 21, and Macey, 10, said: “His bike was just clamped, meaning he had no way of earning money. Jerome’s tragic story was told in the TV drama Killed By My Debt on BBC One on Wednesday. His body was found by older brother Nat in a woodland where they played as children. An inquest ruled that the bailiff did not break the law. Tracey said: “The irony is that many bailiffs are self-employed like Jerome and if they don’t collect ­money they don’t get paid. "This will make them more aggressive chasing debts.